When you are thinking about enhancing the style and comfort of your outdoor living space, consider adding a fountain as one of the top lists. 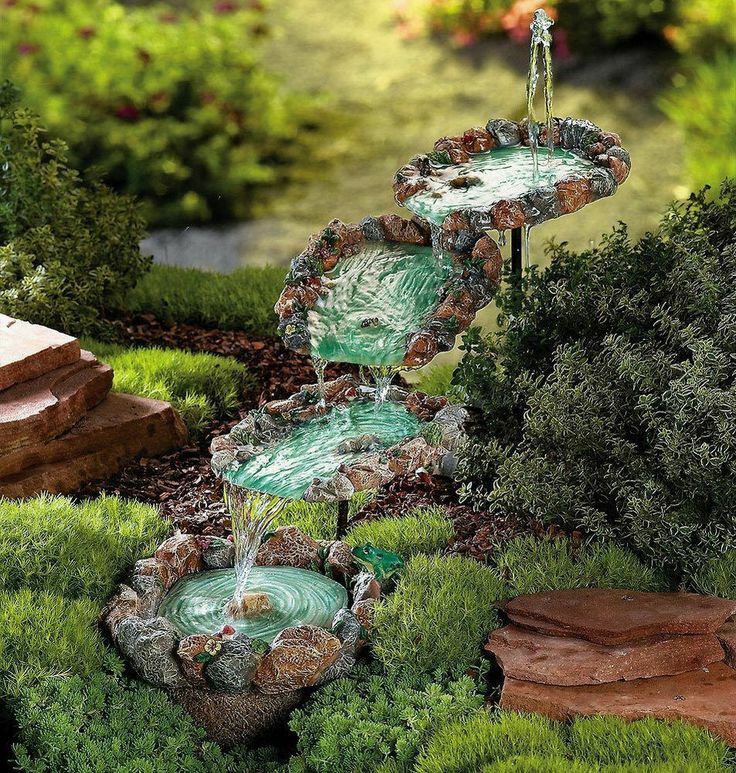 This water feature is surely irresistible to improve the enjoyment of the backyard, front yard, garden, or any outdoor space. The idea of building or installing a water fountain is never a bad thought. There are hundreds of water fountain design you could possibly find on the internet. They are made of various materials with various attractive looks. 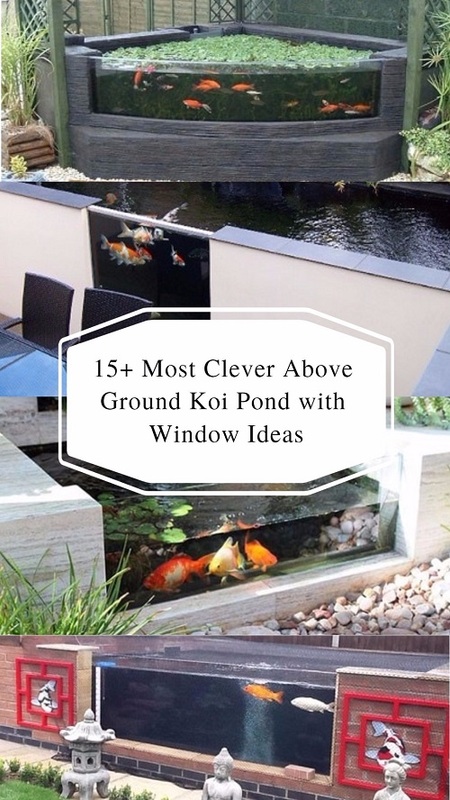 You can always choose the one which suits your taste and matches with the style of your patio, pond, or garden. With so many designs available, always think about choosing the natural material first over other fabricated materials. Not only it will look more exhilarating, but the natural material flows perfectly with the outdoor surroundings around your house. Especially when it designed in a unique style, it will just amaze al the coming guests. 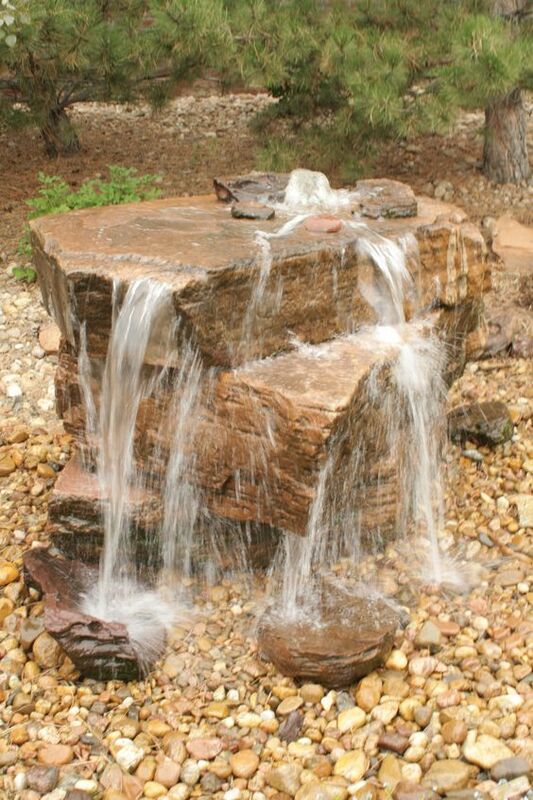 Rock is one of the best natural material when it comes to a water fountain. 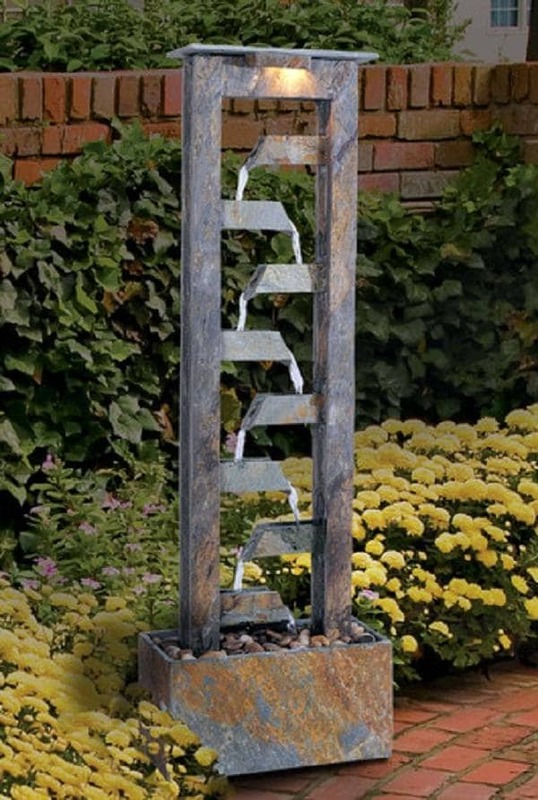 This solid and durable stuff makes a water fountain looks so earthy and luxurious. 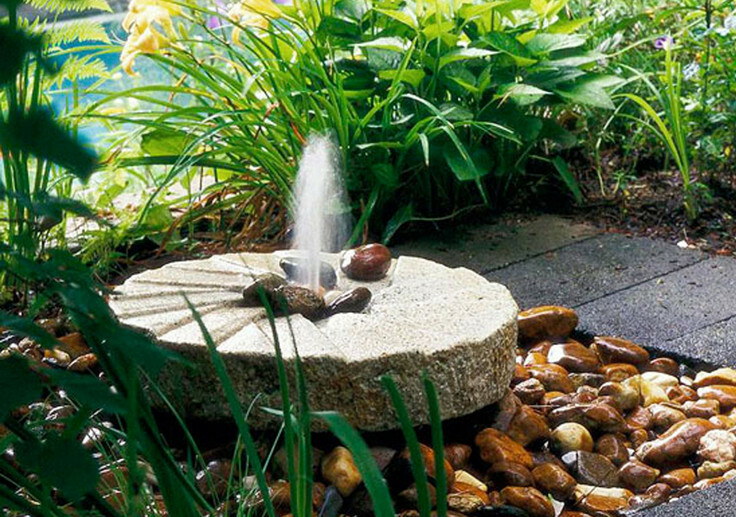 Here, we have some clever rock fountain ideas which you can install in your outdoor living space. 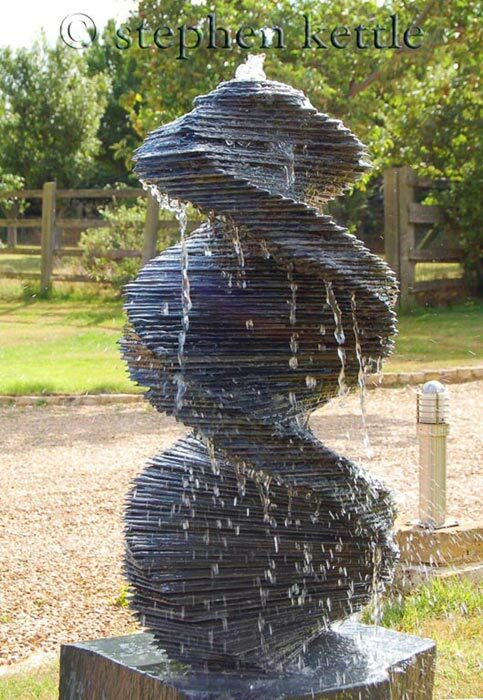 If you are looking for a unique rock fountain design, this one is one of the best answers. 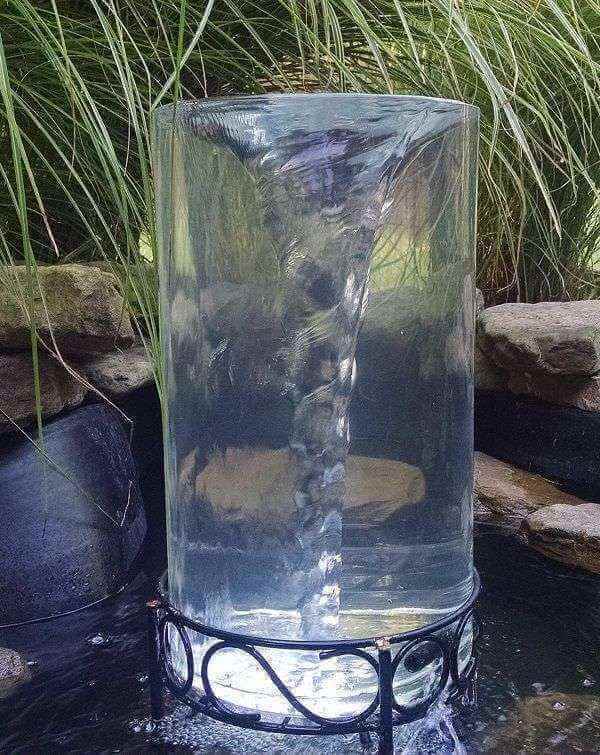 This fountain idea looks unusual and beautiful. 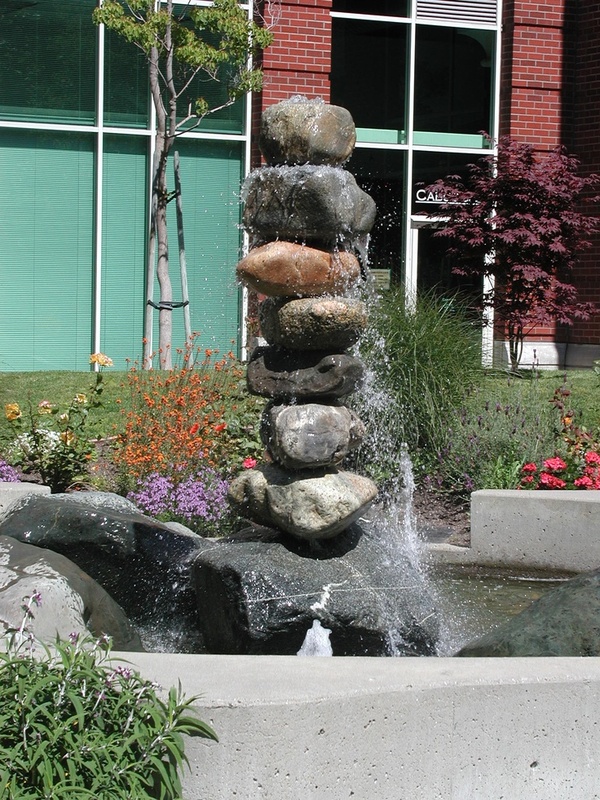 It is indeed not really a rock fountain, but the white rock truly holds a focal point of this fountain design. The fountain gives such a classic yet modern touch to your outdoor space. Hundreds of rocks are formed to be a huge beautiful wall with some waterfalls coming out on the top of it. 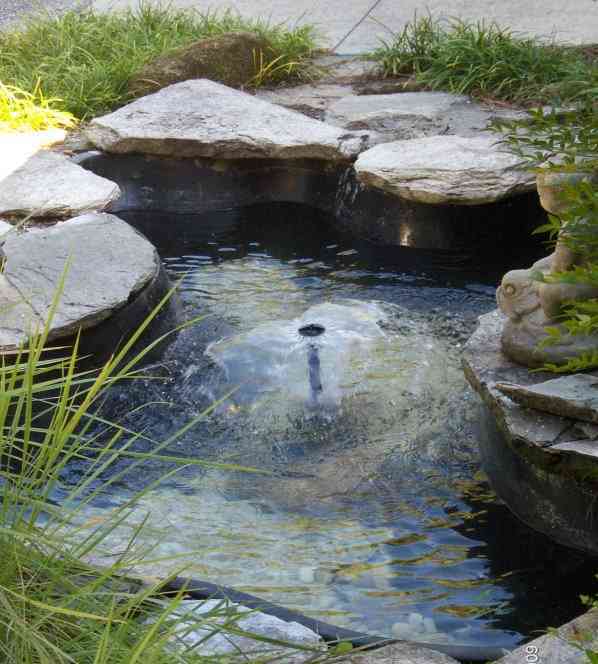 Here, the waterfall is placed in the pool but can be a great aerator for your fish pond. A piece of cake DIY rock fountain which looks simple and creative. The tower will become such a focal point to your backyard. Adding some tall grass around the fountain is such a good idea. 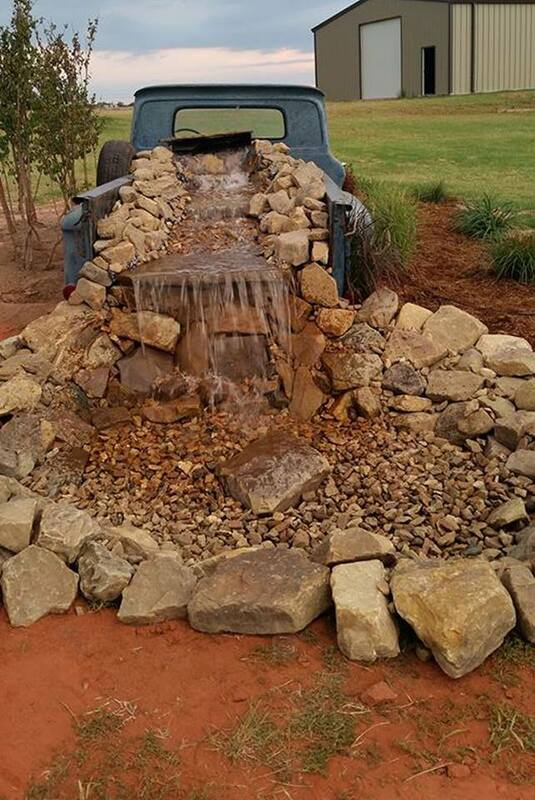 This is a unique and creative rock water fountain. 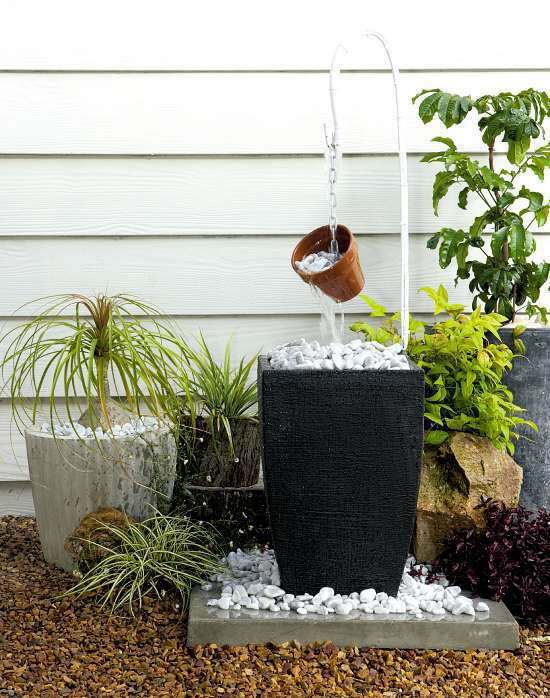 The wheelbarrow makes the fountain distinctive and creates such an industrial theme to your backyard. 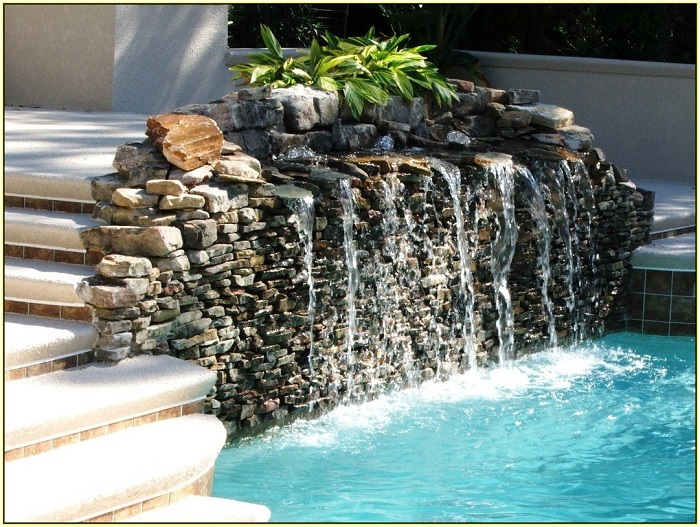 It is a great rock fountain design for you who want to add something unusual to your property. 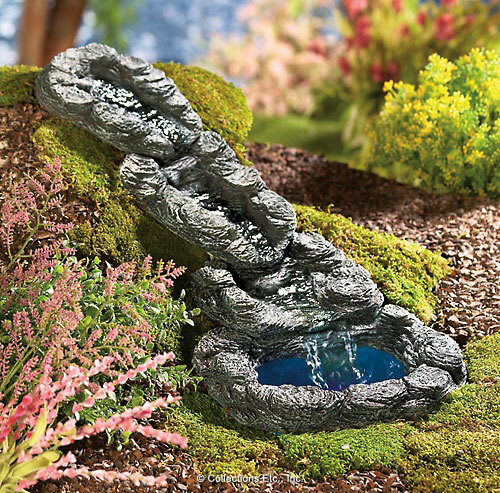 The classic river rock fountain which looks adorable and angelic. The rocks are simply layered to cascade the water. The design looks very natural to create an old days style to your outdoor space. A small bubble fountain made out of the flat rock which disguises the rock flooring around. It is a nice fountain idea to add a unique touch to your concrete patio. Though it looks small, but it gives a surprising effect to your outdoor space. 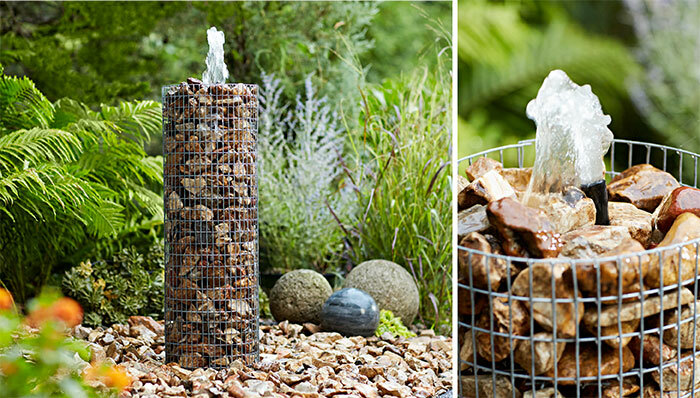 The gorgeous tower of rocks fountain which will become such a central attention in your pond. The design creates such a natural and modern style at the same time. The elegant bubble rock pillars which look irresistible. The sandy and black stones, the grass around the rock fountain flow harmoniously. Try this rocky surrounding in your backyard, and get ready to amaze everyone. 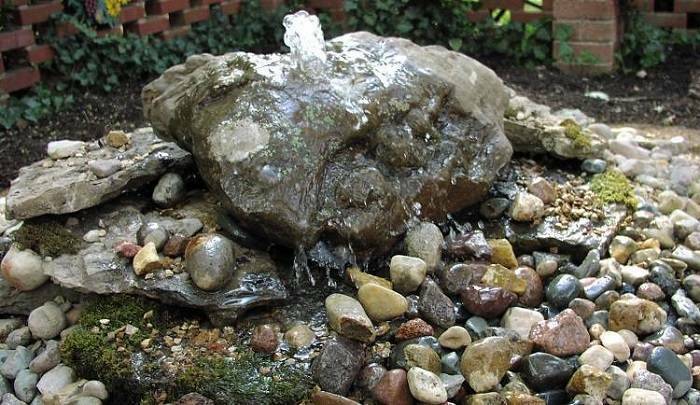 Another unusual creative rock fountain to make your backyard look as unique as possible. A used truck is used to build a huge waterfall which flows to a rocky pond. The design will make a breakthrough backyard’s addition for your house. The jaw-dropping fountain made out of rock slate structure. The design is very glamorous and luxurious. it is truly an outstanding piece of art to enhance the style of your outdoor space. 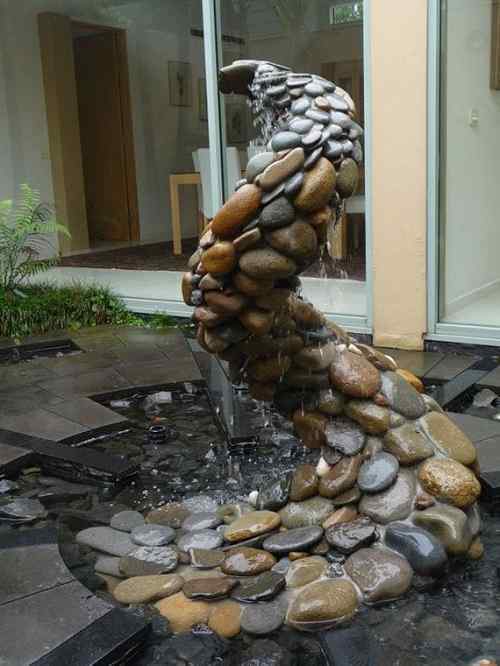 The thick flat rocks are stacked to create this gorgeous fountain. The sandy color of the rocks fountain and the gravels around it creates a beautiful earthy look. The design is quite simple but absolutely adorable. 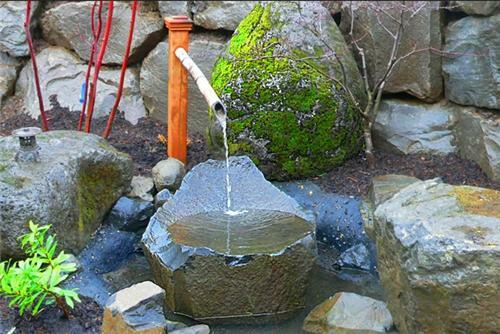 This rock fountain idea will create a traditional Japanese atmosphere to your backyard. The single thin bamboo flows the water onto the huge black rock bowl. Another DIY project which is really worth to try! 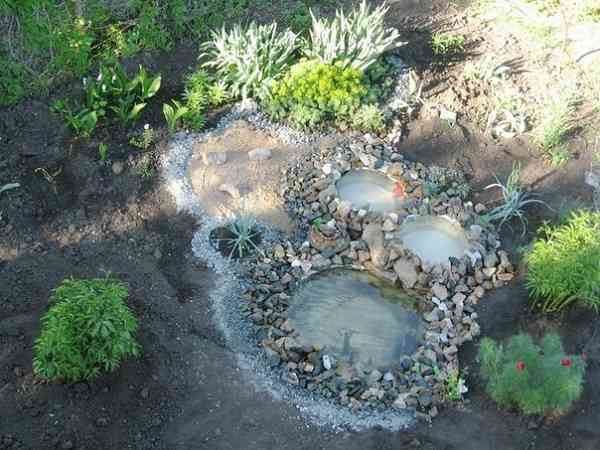 A small rock fountain consists of random-sized rocks in two colors. 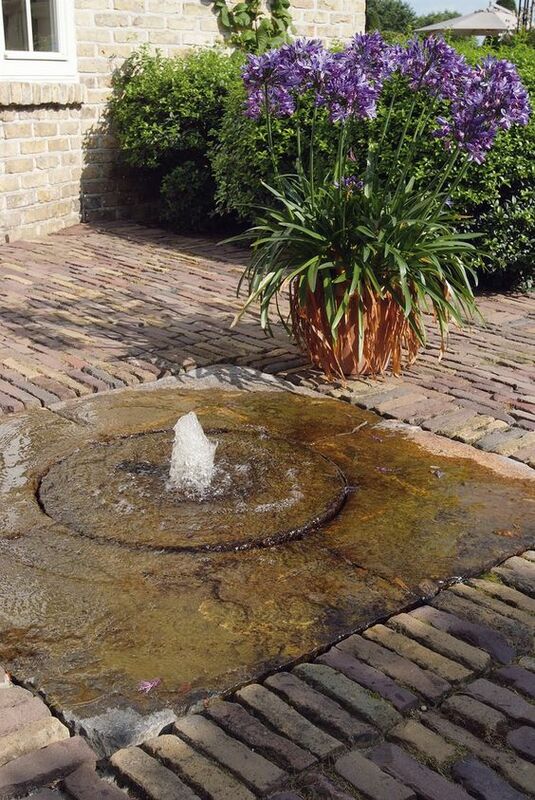 Here, the fountain is placed around the plantation which makes it look gorgeously natural. You can make this one easily at home. The circular decorative rock fountain is placed on the goldish rocks which look so luxurious. 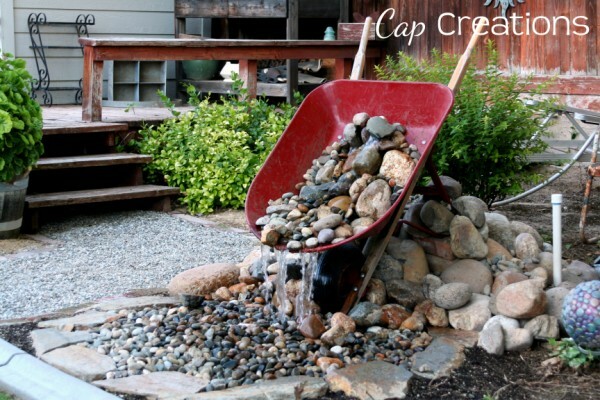 It is such a simple rock fountain to decorate your patio. 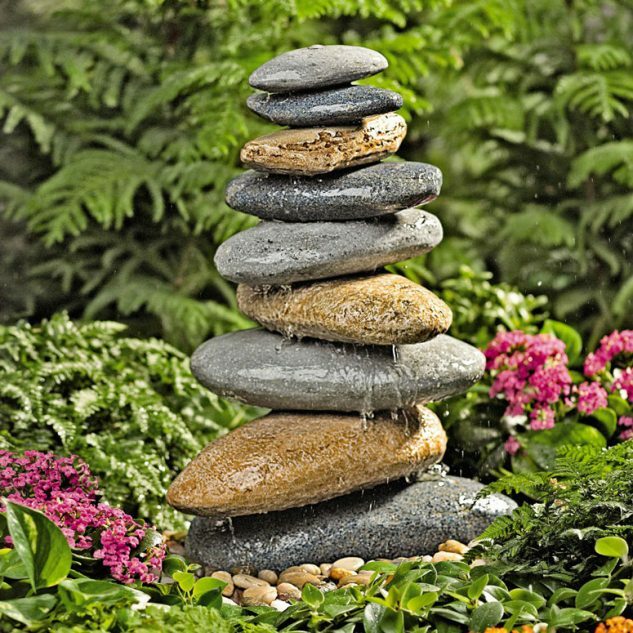 Those rock fountain ideas not only looks fascinating but also gives a relaxing effect to your backyard. The rocks material create a sturdy and beautiful appearance at the same time. 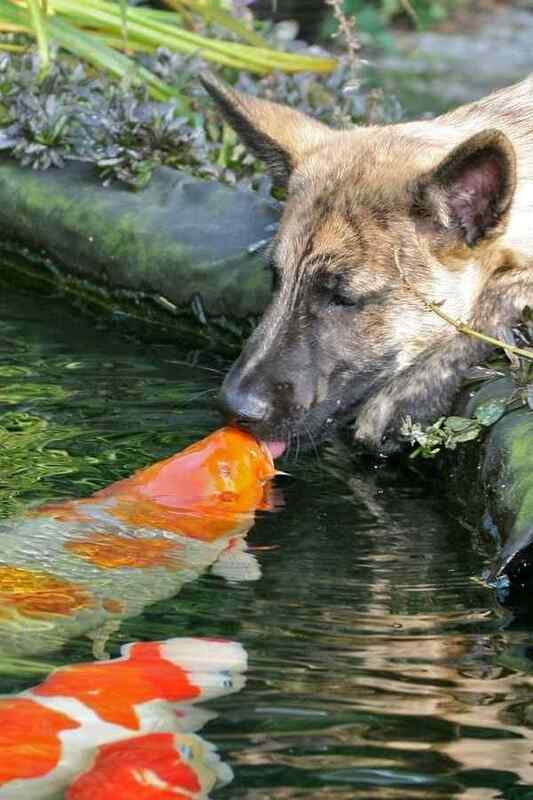 They make you want to spend a long time to enjoy your backyard. 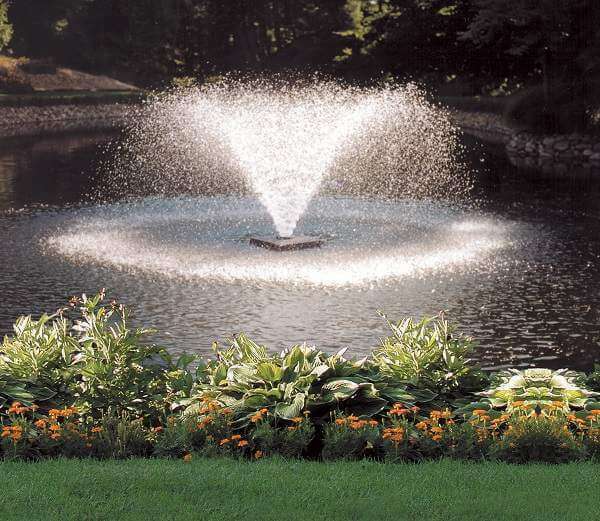 The water fountain will truly bring your backyard to life and makes your outdoor face more inviting. 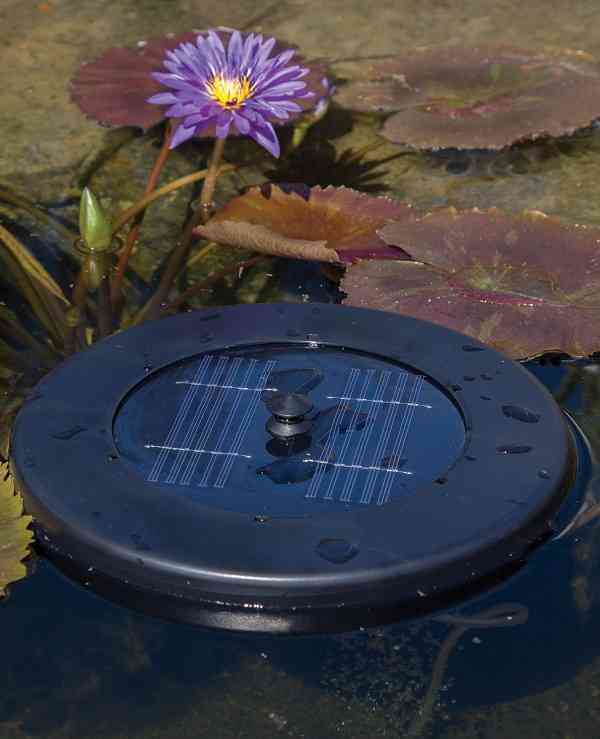 If you are about to install the fountain as the aerator for your fish pond, keep in mind that you have to use the right pump size which properly works for your pond size. 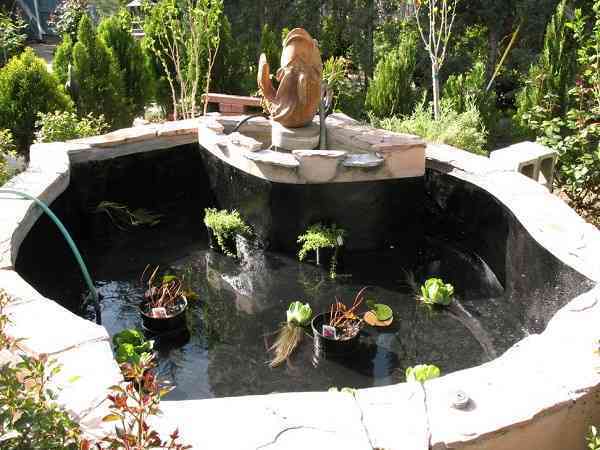 The water fountain for pond doesn’t only act to boost up the oxygen level to the pond, but also reduce the growth of algae to prevent the green water problem. sure, please just subscribe our RSS Feeds to keep in touch with our works and plans! 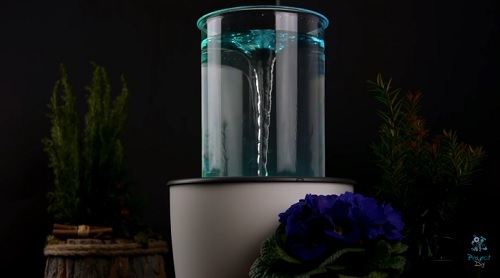 The idea of building or installing a water fountain is never a bad thought. 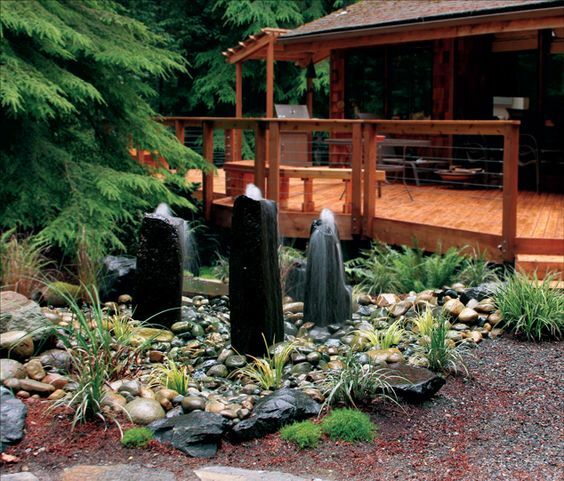 The outdoor fountain is not only always about the beauty, but it also offers the homeowners many benefits. The fountain gives such a classic yet modern touch to your outdoor space. Water testing is a very important part of starting and maintaining.